Nbfs Creations LLC, 9781732945708, 260pp. 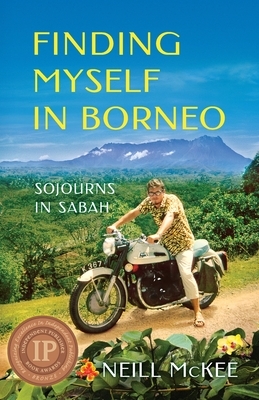 Finding Myself in Borneo is an honest and buoyant chronicle of a young Canadian man's adventures during 1968-70, while teaching secondary school as a CUSO volunteer in Sabah, Malaysia (North Borneo). Travel with Neill McKee on his unique journey through vibrant Asian cultures as he learns the craft of teaching, the Malay language and local customs, and gains many friends in his small community. He climbs the highest peak in Southeast Asia--Mount Kinabalu, has a love affair, and navigates Borneo's backwaters to make his first of many documentary films. McKee travels by freighter to Indonesia, where he discovers the scars of that country's recent genocide, a contrast to his hilarious motorcycle journeys in Sabah with his American Peace Corps buddy. They make a hallucinogenic discovery--North Borneo is, indeed, J. R. R. Tolkien's famed Middle-Earth of The Lord of the Rings The enterprising duo establish the North Borneo Frodo Society, an organization Tolkien joins.